Fum is missing! 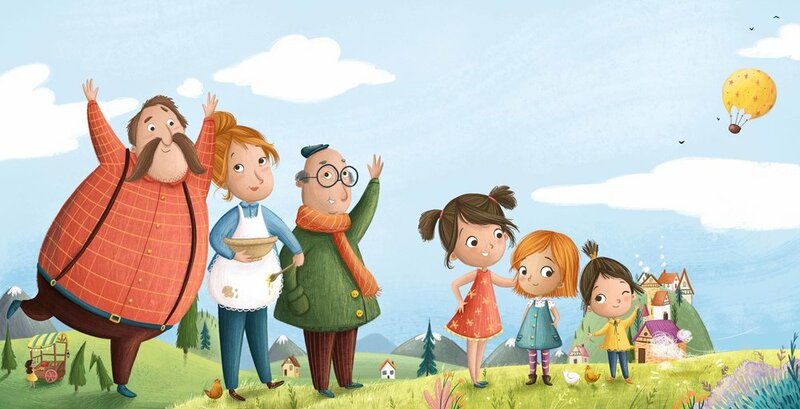 Join the giant Crumb family as they travel through different fairy tales searching for the smallest Crumb. Fum featured on CBeebies as a Bedtime Story, read by Dr Who actor Arthur Darvill, on 9th January 2019! He read it brilliantly and did ALL the voices! Grandpa Plum was hilarious! Wow! Cheers CBeebies and thank you Arthur for a fum-tastic reading! FUM is a Tale, tall, about being small. Proving that you don't always have to be BIG to be a GIANT! What a great photo' by Dilly and the Boo! The idea for Fum came about as I was reading that typical giant's refrain FEE, FI, FO, FUM! in another book. It sounded to me that the giant could actually be calling out the names other giants - as if calling them in for their dinner - and my thought process from there, was as follows... First of all, who are they? Well, Fee, Fi, Fo, and Fum sound like a family, so they must be the names of the giant's children... And, if their Pa was calling them in (or telling them off!) the obvious place to add a plot to this idea would be to make one of the giants NOT come in when called... a defiant little giant! But how would that work? A giant would be easy to see, to find, wouldn't they? Unless... the smallest one wasn't a giant yet... what if they were much, much smaller than a giant: human sized, even. That could add a bit of a twist to the tale? And that was it! The story became about a group of giants trying to find Fum - the smallest of their family... a game of hide and seek in a fairy tale land of familiar and classic characters. Here are the very first notes I made for Fum, from September 2015, alongside some of Lucy Fleming's rough drawings of the characters and the layouts of the book. Lucy created all the fairy tale lands they search for Fum in, and added so much more to the story that I'd ever imagined!